A very snowy Saturday found me in the kitchen yesterday…alone…for my annual baking marathon. “Little a” was planning to join me, but the doom-and-gloom weather forecast kept her home. I was sad, but a marathon is a marathon and I was moving forward. What a fabulous addition! 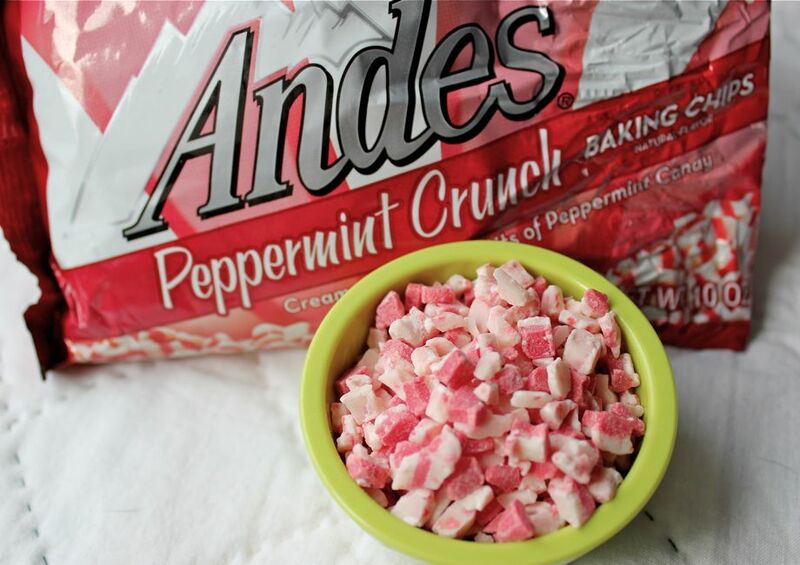 I simply followed the recipe, and substituted 3/4 cup peppermint crunch for the white baking pieces. Such a great combo. I was a bit concerned that the “crunch” would be similar to a candy cane, but not at all. The only crunch is in the delicious chocolate biscotti. Yum. I rolled the dough into 7 small logs and watched them carefully in the oven. 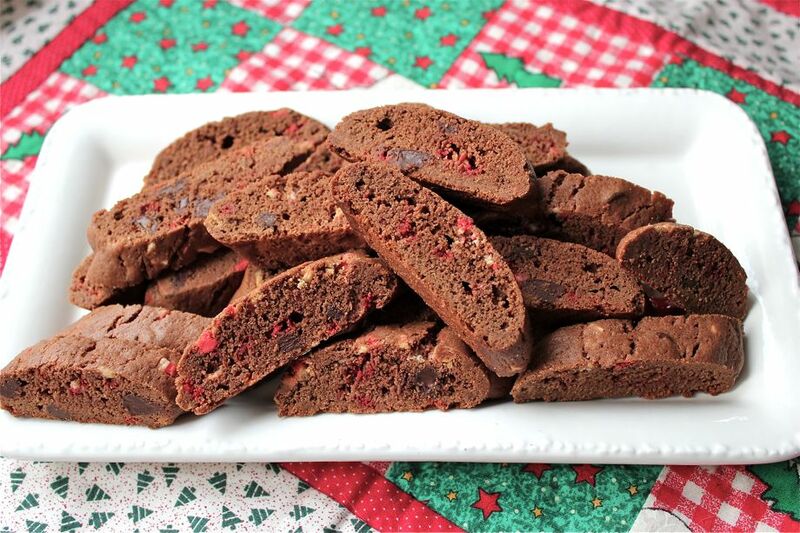 The smaller logs yield more biscotti, and the size fits in well with all the other holiday cookies. That weather was most untimely!!! I made your sugar cookies today using a combo of lemon and almond extract-delish!